There are five toy trains which are running to hill station on the narrow gauge. The bogies are also very small like toys, so they are called toy trains. Through most of them are running in loss, yet the public demand is so high that these are continuing on their routes. Most of them are very old. 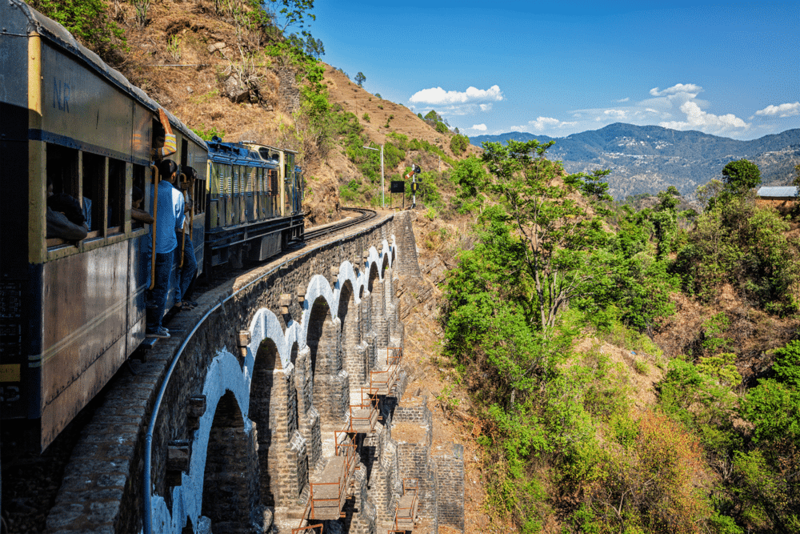 This railway line is one of the most popular hill railways in India. The trains running on these tracks are popularly called ‘toy trains’. A journey on this railway is a unique experience as one can view the majestic Himalayas, through tunnels and over bridges; amid the lush green valleys of pine and oak trees. The Kalka-Shimla railway line was inaugurated by the then British Viceroy, Lord Curzon in November 1903, covering the distance of 96 km from Kalka, up to Shimla hills. The toy train passes through 102 tunnels (originally 103), 969 bridges, 919 curves, and 20 railway station in its entire journey. The Guinness Book on ‘Rail Facts and Feats‘ included Kalka-Shimla Railway as the greatest narrow gauge engineering achievement in India. The Kalka-Shimla toy train has about seven coaches that can seat around 200 passengers in a single trip. The train runs through hazardous and adverse conditions with temperatures ranging from 0 to 45 degree C, heavy snowfall (average recording two feet during the winters), and the annual rainfall of 200-250 centimeters. The train travels with a moderate average speed of 25-30 km/h throughout its journey. It has been included as a World Heritage Site since July 2008. 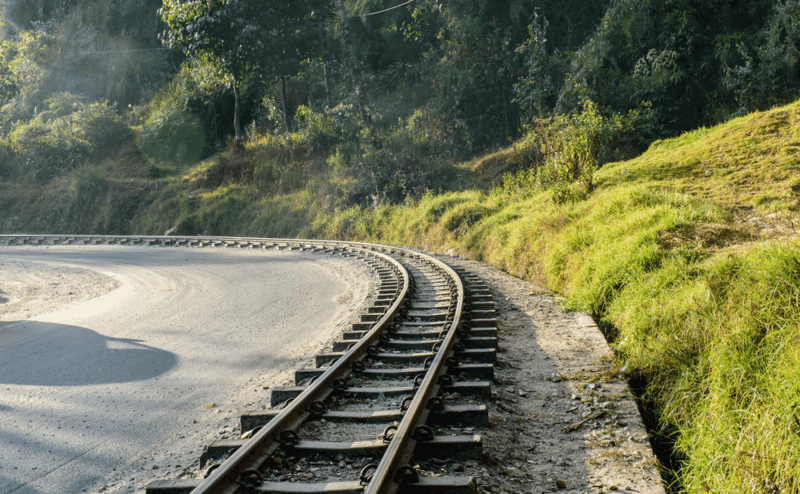 The toy train on the Darjeeling Himalayan section represents the engineering skill of the highest order. This 86 kilometer long section connecting Darjeeling with the railhead at Siliguri is of great importance and has been given the status of World Heritage Site. Jalpaiguri to Darjeeling railway track was constructed in the 1880s and providing an important transportation link between Darjeeling hills to lower plain. In 1999 UNESCO declared Darjeeling Himalayan Railway (DHR) as a World Heritage Site. After the Austrian Alps, DHR is the second railway system in the world to be accorded the world heritage status. New Jalpaiguri-Darjeeling toy trains take appx. the time of seven hours and gives you an unforgettable lifelong experience of mother nature. Many toy trains are operated at that route from different stations such as toy trains between Darjeeling to Ghum, toy train Joyride, Siliguri to Rangtong etc. 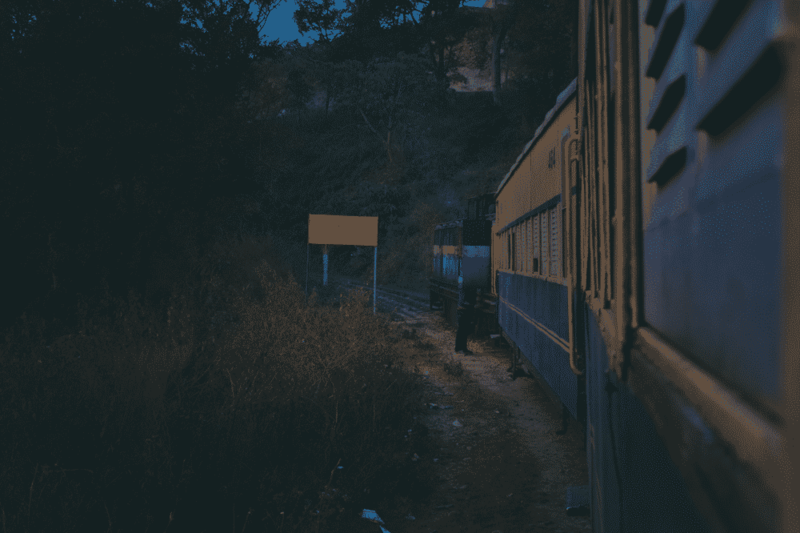 The Nilgiri mountain railway is 46 kilometers long and runs on a 1000 millimeter gauge railway connecting Mettupalayam to Ooty. The first section of the Nilgiri Railway up to Coonoor was completed in 1899 by the Nilgiri Railway Company and was extended to Ooty in 1903. The Nilgiri rail system is unique as it is the steepest one in Asia. The train cover 46 km in four and half hours through 16 long tunnels in very beautiful forested hills. It is very popular among tourists. 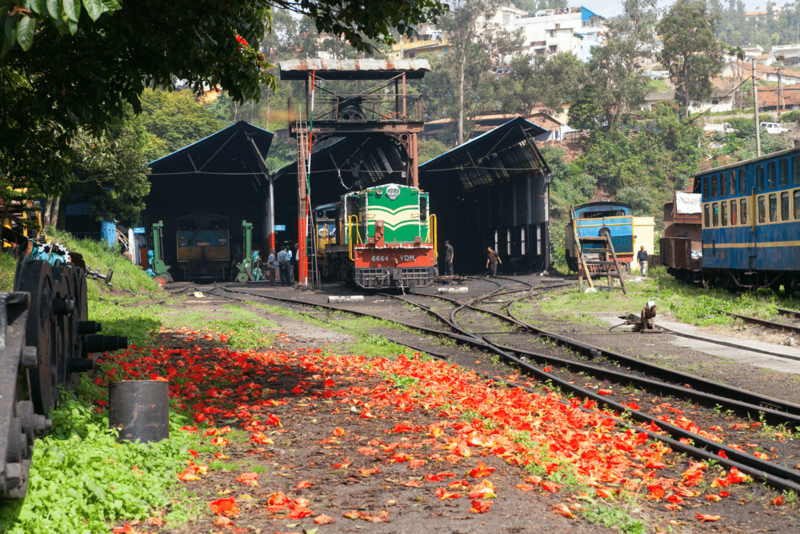 Matheran Railway links Neral, which lies on the Mumbai-Puna route, to the beautiful hill station of Matheran. The route, covered in a time period of one and half hours, is full of beautiful scenic views of the region. The Matheran Hill Railway is a heritage railway in Maharashtra, built between 1901 and 1907 by Abdul Hussein Adamjee Peerbhoy, at a cost of Rs. 16,00,000. The railways cover a distance of 20 kilometers, connecting Neral to Matheran in the Western Ghats hill near Mumbai. The railway is a two feet narrow gauge railway and is being promoted as a future World Heritage Site. 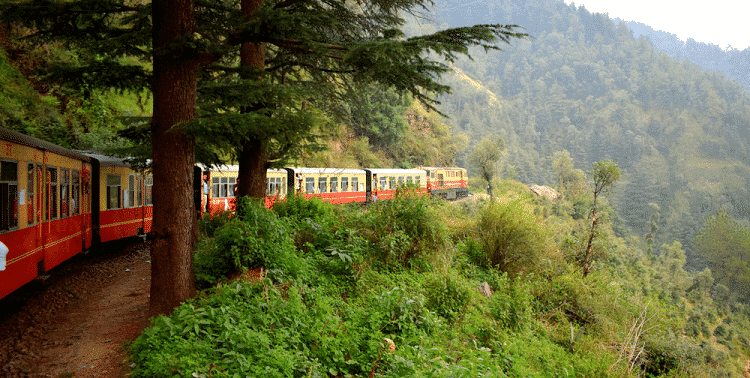 The Kangra toy train links Pathankot and Joginder Nager through hills and valleys, offering the travelers beautiful scenic views. The work in this lines started in 1926. Three years later, this 63 kilometers route was opened to traffic. Kangra toy trains pass through two tunnels which are 250ft and 1,000ft long in length. Ahju station on this railway track is the highest point station above 1,290 meters above sea level. The entire route gives beautiful views of Kangra valley, hills on the sides, streams and the Dhauladhar range. It travels past the ruins of the old Kangra Fort.